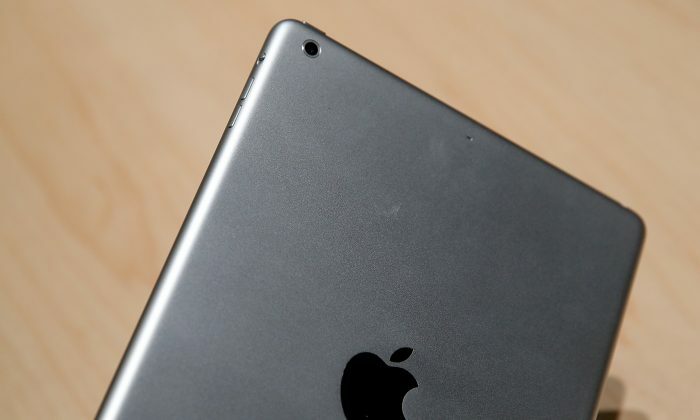 iPad Air 2 Release Date, Rumors, Specifications: When Will Apple Launch the Upcoming Tablet? When might Apple launch the iPad Air 2? The original iPad Air was launched on November 1, 2013, after it was announced during a keynote address on October 22, 2013. While the iPad Air was praised for its reduced size, weight, and performance over the iPad 2, it drew some flak for having not enough storage space and for not having Touch ID technology. According to KGI securities analyst Ming Chi Kuo, however, the upcoming iPad Air 2 will have Touch ID technology, the latest A8 processor, and an improved 8 mega-pixel camera. While he did not give a specific date, Kuo speculates that the iPad Air 2 should be released earlier than the iPad Air. If the rumor is true, Apple fans can expect to see the iPad Air 2 by October at the latest. See an AP story below on Apple’s earnings in 2014. SAN FRANCISCO (AP) — Apple’s growth prospects are looking brighter as anticipation builds for the upcoming release of the next iPhone, a model that is expected to cater to consumers yearning for a bigger screen. The latest evidence of Apple’s mounting momentum emerged Tuesday with the release of the company’s fiscal third-quarter report. Earnings rose at the highest rate in nearly two years as Apple Inc. sold 35.2 million iPhones during the period. The iPhone shipments climbed 13 percent increase from the same time last year, even though many people are believed to be holding off on new device purchases until the next version comes out this fall. Apple earned $7.7 billion, or $1.28 per share, for the three months ending June 28. That represented a 12 percent increase from income of $6.9 billion, or $1.07 per share, at the same time last year. It’s the first time that Apple’s earnings have increased by more than 10 percent since the quarter that included the September 2012 release of the iPhone 5 — the last time that the company boosted the device’s screen size. The earnings per share for the latest quarter exceeded the average estimate of $1.23 per share among analysts surveyed by FactSet. Revenue rose 6 percent from last year to $37.4 billion — about $600 million below analysts’ forecasts. If media reports based on leaks from Apple suppliers prove accurate, the iPhone 6 will boast a screen of at least 4.7 inches compared to the current 4-inch display. Some analysts also speculate Apple will simultaneously unveil an iPhone with a 5.5-inch screen. An iPhone with a larger screen probably would unleash a flood of sales among Apple fans interested in a smartphone that would make it easier to read and see other features. A bigger-screen iPhone might also tempt consumers already accustomed to the larger screens on a variety of smartphones running on GoogleInc.’s Android operating system. Apple is also widely believed to be gearing up to release a smartwatch, a move that would mark the first time the company has entered a new device market since Tim Cook replaced Steve Jobs as CEO nearly three years ago. Jobs died in October 2011 after a long battle with cancer. Apple spokeswoman Kristin Huguet declined to comment on the filing or patent approval. The iPhone’s third-quarter sales growth was strongest in Brazil, India, Russia and China, where device sales increased 55 percent from last year. The gains are testament to the ongoing allure of Apple’s marquee product seven years after the first iPhone came out. Apple’s trend-setting tablet computer, the iPad, seems to be losing some of its appeal amid a bevy of less expensive alternatives. The Cupertino, California, company shipped 13.3 million iPads in the latest quarter, a 9 percent drop from the same time last year. It marks the second straight quarter that the iPad’s sales have fallen from the previous year. Meanwhile, Apple’s sales of Mac computers increased 18 percent from last year. Apple is counting on a partnership forged with IBM Corp. last week to help boost iPad sales to corporate customers and government agencies. Some analysts believe a larger-screen iPhone could also undercut iPad sales in future quarters, but Cook didn’t sound worried in a Tuesday conference call with analysts. “We still think there is significant innovation that can be brought to the iPad and we plan on doing that,” Cook said. Investors have been flocking back to Apple after an extended stretch of disillusionment. Just 15 months ago,Apple’s stock had plunged by 45 percent from its peak reached in September 2012 amid concerns about tougher competition and the company’s ability to innovate without Jobs. Propelled by high hopes for the next iPhone and the potential release of a smartwatch, Apple’s stock has surged 18 percent this year. After closing at $94.72 Tuesday, the stock is just $6.01, or about 6 percent, away from setting a new high. The shares shed 62 cents to $94.15 in Tuesday’s extended trading.